Help AG is leading cybersecurity company. 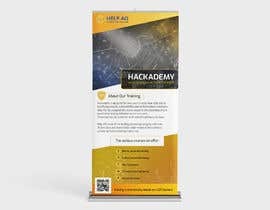 We wish to get a standard roll up banner designed for our new training academy, called Hackademy. 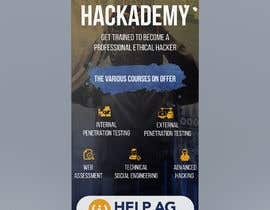 This would be an ethical hacking training. Hackademy is designed for end users to build their skills sets in identifying security vulnerabilities and perform attack simulation. Help AG has designed the course based on the experience from penetration testing delivered to our end users. These courses are suited for both network and security team. 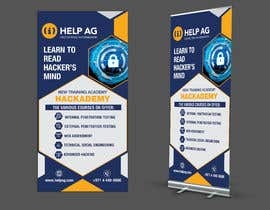 Help AG is one of the leading pentesting company with over 70 zero days and research lab which makes it best suited to provide unrivalled training experience. check #8 . I hope you like it.